Earclip for pulse measurement is included in the delivery ! The new sturdy, heavy-duty Kettler Stepper Montana offers the best conditions for varied step training a simpliefied version of the Kettler Power-Stepper. 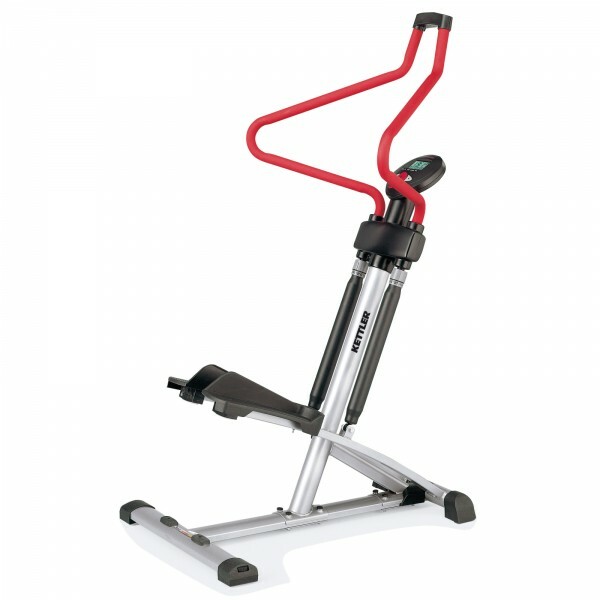 A step-workout conditions the cardiovascular system and at the same time strengthens the leg and seat musculature. The independently functioning pedals ensure an ergonomic stepping movement. Individual pedal resistance can be set with the adjustment rings on the hydraulic cylinders. I love this stepper. It is very solid and the stepping action is smooth. The console gives lots of useful feedback to help keep motivated. It is a great addition to any home gym.